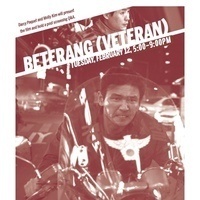 The U of L Department for Asian Studies and the U of L Film Liberation Unit teams up with Indiana University’s Institute for Korean Studies presents three films from one of South Korea’s most interesting and successful commercial film directors, Ryoo Seung-wan. Influenced by Hong Kong action films from the 1970s, his thrilling films feature fast-paced plots and well-choreographed action scenes. His 2015 film, Veteran, sold more than 13 million tickets and is the fourth all-time highest-grossing film in Korean cinema history. Notable for bringing attention to pertinent social issues such as corruption and social inequality, Ryoo is a central figure in the thriving Korean film industry, attracting South Korea’s best actors for his films, and is close friends with OLDBOY director Park Chan-Wook. Features a discussion with Darcy Paquet. Paquet an IU alumnus with a master’s degree in applied linguistics, is one of South Korea’s most prominent film critics and the creator of the website koreanfilm.org. He moved to Korea in 1997 to teach English at Korea University but became fascinated with Korean cinema and made it his life’s work. He also teaches classes on cinema at Kyung Hee University and Korea University and does freelance subtitle and screenplay translation, as well as radio and television work. In addition to his film criticism, Paquet has written extensively on the Korean film industry with pieces featured in Screen, Variety, and the Korean film weekly Cine 21.